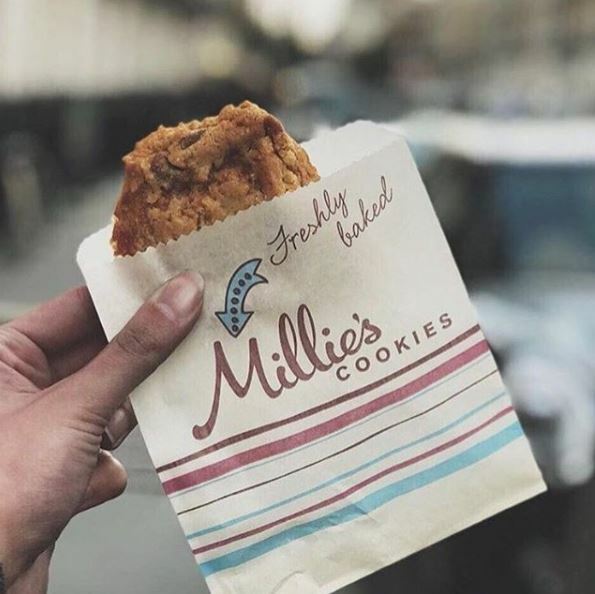 Since they first opened in 1985, Millie’s Cookies have been baking fresh cookies all day every day. Today they are proud to offer you not only freshly baked cookies, but also muffins, cakes, ice-creams, smoothies and shakes, hot chocolate, tea and coffee. Pay them a visit today for a scrumptious treat!